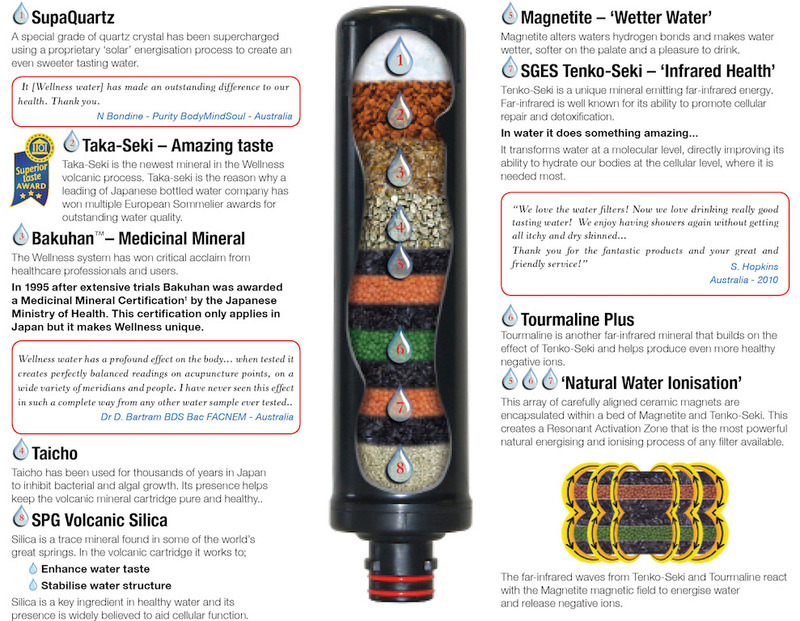 What makes water from Wellness® different to water from other types of filters is that our system contains a cartridge packed with exclusive and rare volcanic minerals. These minerals do more than just filter water – they transform water. What is the The Wellness Process?